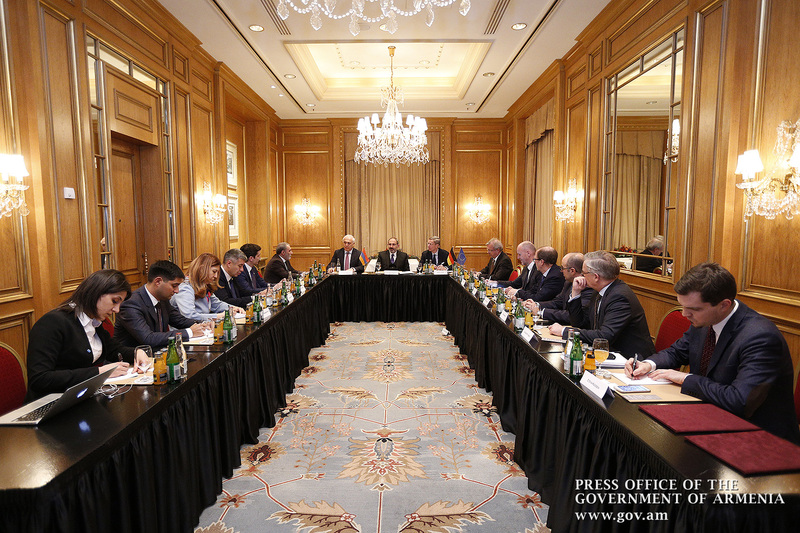 Within the framework of his official visit to Germany, on February 1, Prime Minister Nikol Pashinyan met with representatives of the German Committee on Eastern European Economic Relations and leading German companies’ top executives. 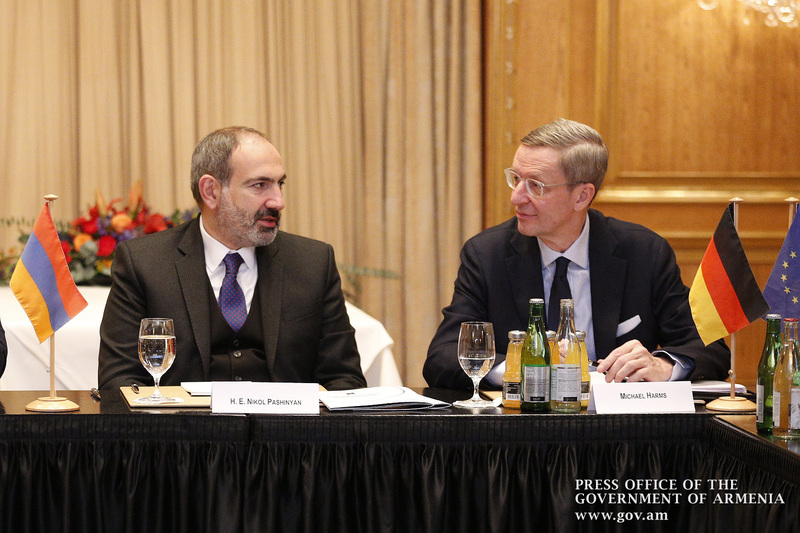 Thankful for kind remarks, Prime Minister Pashinyan stressed the importance of meeting with representatives of Germany’s economic community and presented Armenia’s economic agenda. “An important part of our upcoming agenda concerns the economy, because political changes have created opportunities for economic transformations. We want to make major changes in the structure of the Armenian economy: we are going to raise the standards applicable in the mining industry and make information and high technologies the locomotive of our economy,” the head of the Armenian government said. The Prime Minister outlined the most attractive investment areas in Armenia: IT, tourism, alternative energy, construction of reservoirs, food processing, textile and light industry, winemaking, etc. Nikol Pashinyan stressed that today there is no such area where businesses may encounter any impediments to investment in Armenia, and there are no examples of redistribution of property: following the political changes. “The right of ownership is guaranteed and protected in Armenia. Our message is the following - you are free from all those corruption-related commitment s that existed before. The attitude to all investors is the same, and we say: come to Armenia, invest, get richer and enrich others,” the Head of Government said. Various issues were discussed during the meeting, including investment programs in information technologies, waste management, garbage collection, cargo transportation. 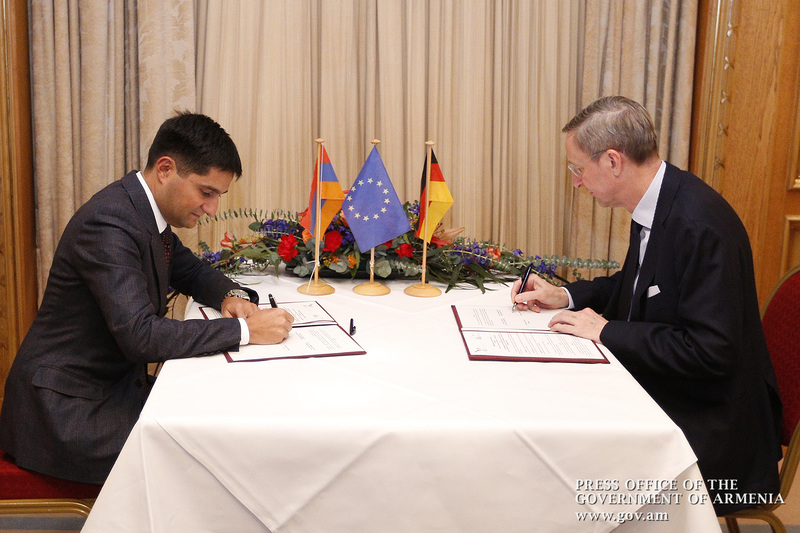 The representatives of leading German companies noted that they had paid frequent visits to Armenia recently and could state that the democratic changes have shaped a positive atmosphere around Armenia: Armenia’s investment attractiveness has increased; foreign investors have become more interested in the opportunities created for economic activity in the country. The interlocutors exchanged views on the prospects for cooperation and agreed upon the scheduled visit of a German delegation in April to identify specific areas and programs around which a substantive discussion might take place in Armenia. 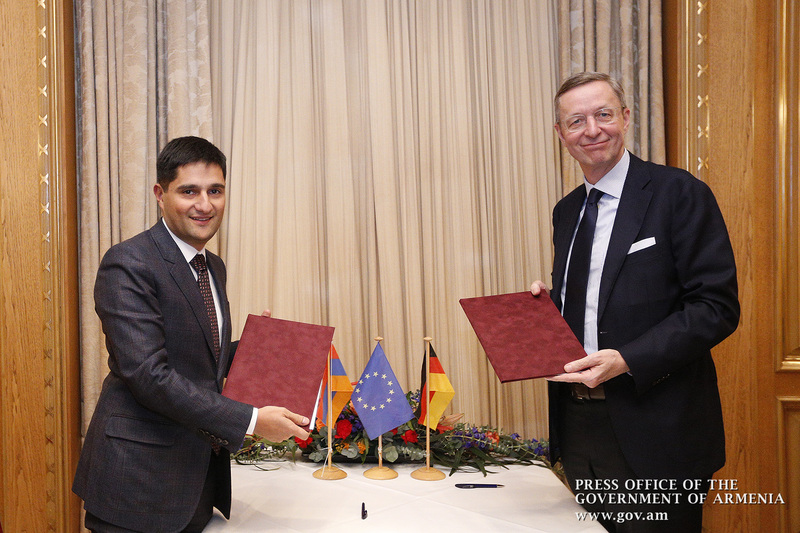 At the end of the meeting, a Memorandum of Intent on cooperation was signed between Armenian and German business associations in the field of information technology. 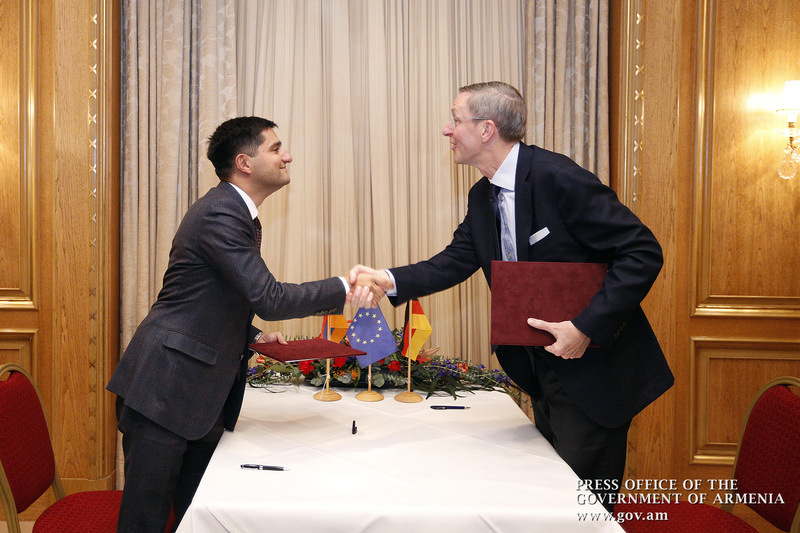 The document was signed by Director of the Union of Advanced Technology Companies Alexander Yesayan and Executive Director of German Committee on Eastern European Economic Relations Michael Harms. The memorandum provides for the deepening of interaction in the field of IT, the convergence of relations between the companies of the sphere, the implementation of joint programs. According to the document, the parties will establish cooperation in the framework of the upcoming World IT Congress in Yerevan. Prime Minister Nikol Pashinyan’s two-day official visit to the Federal Republic of Germany is over.